Chili Garlic Roasted Potatoes - jazz up regular garlic roasted potatoes with chili for extra kick. 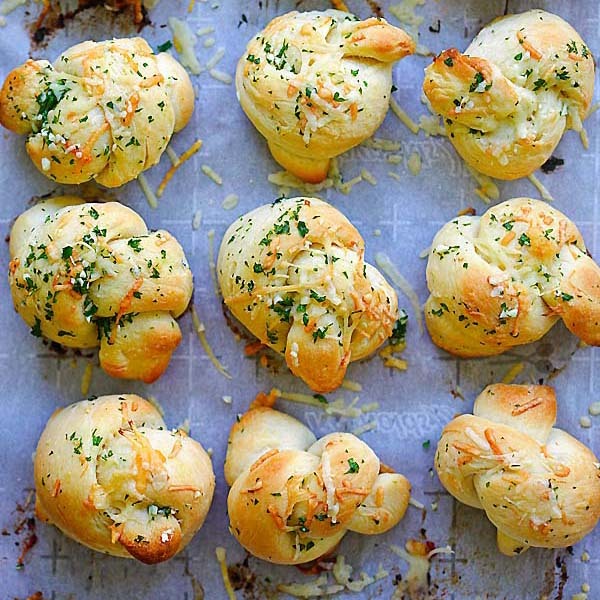 Cheesy and buttery goodness that you can't stop eating! I love roasted baby potatoes, all kinds of potato recipes. 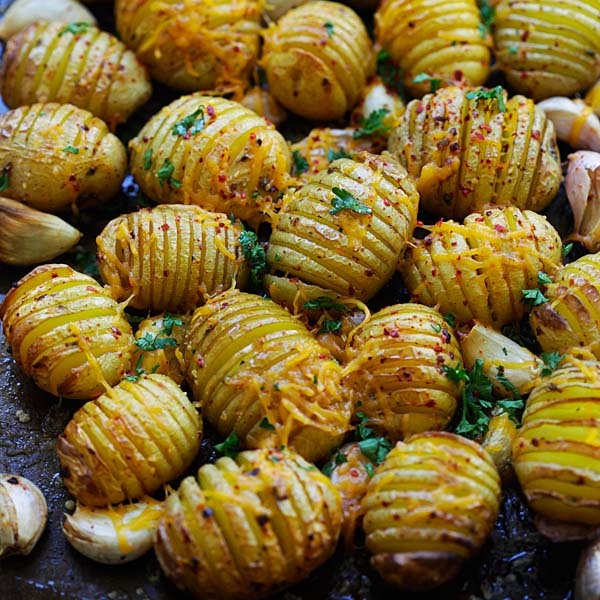 I love them roasted whole, cut into wedges, sliced into hasselback potatoes as in this chili garlic roasted potatoes. I love garlic, olive oil, butter, honey, lemon, but I also love some heat in my roasted potatoes. This chili garlic roasted potatoes recipe is unlike any regulars, they are cheesy, garlicky, buttery, but spiked with some heat. 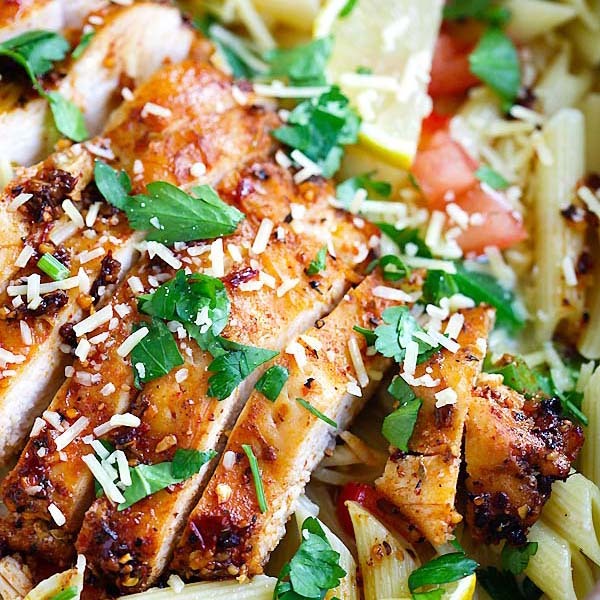 I always love some heat in my foods, so this recipe hits all the right notes. 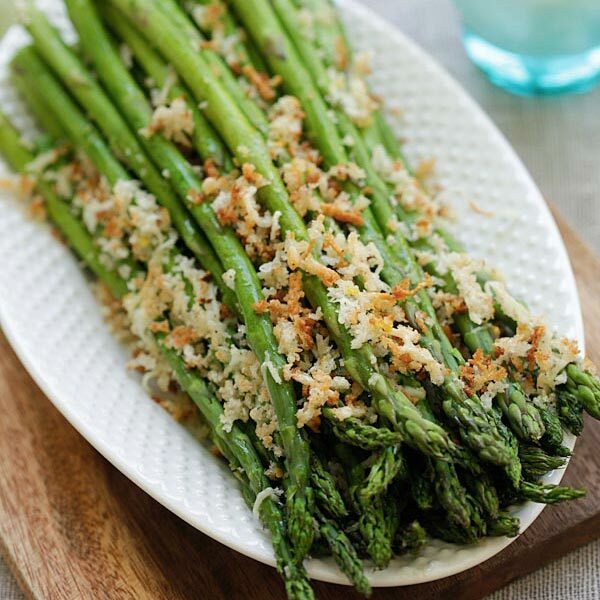 They are absolutely delightful and add an extra layer of flavor to any dishes that go with them. There are all kinds of chili powder in the market. I used Korean chili powder. You may also use paprika. Shake things up a little bit in the kitchen and introduce new tastes to your palate. Enjoy and have a great Memorial Day weekend! Rinse and clean the baby potatoes thoroughly. Pat dry with paper towels. Cut horizontal slits in the potatoes, without fully cutting through. You may put each potato on the wooden spoon of a ladle and slice it to prevent cutting it through. Transfer all the potatoes into a big bowl. Separate the garlic into individual cloves, keep the skin intact. Combine the melted butter, chili powder, lemon juice and salt. Stir until combined. Add the butter mixture and garlic cloves to the baby potatoes. Toss to coat well. Transfer the potatoes to a sheet pan and spread out in a single layer. Brush the remaining butter mixture inside the slits of the potatoes. Roast the potatoes for 35 minutes. Remove from the oven and top the potatoes with the cheddar cheese. Roast for another 5 minutes, or until the cheese melts. Remove from the oven, garnish the potatoes with parsley and serve immediately. All photos and recipes on Rasa Malaysia are copyright protected. Please do not use the photos and recipes without prior written permission. If you wish to republish this recipe, please rewrite the recipe in your own words instead of copy and paste and link back to //rasamalaysia.com/chili-garlic-roasted-potatoes/. Thank you very much! Hi Lallie, my website has always been like this. My recipes are worthy of that extra kick, they are absolutely delicious and they work! Awesome thanks for your sweet comment. Great recipe, In added organic cayenne crushed peppers to it and it was a big hit. Thank you….